Washington State passed Initiative 502, the legalization of adult use Cannabis, in November of 2012. In early 2013, Congress began work on the framework of the state’s regulatory system. One very important component of which was the regulations involving and governing traceability. Traceability was and is the tracking of Cannabis and Cannabis-infused items and products from “seed to sale”, as directed to Washington and Colorado per the Cole Memo issued in August 2013. In Washington State, a contract for traceability, such a critical part of Cannabis regulation, was awarded to BioTrack, a company already experienced across the US in tracking the movements of pharmaceutical products, seemingly a solid choice. In July of 2014, the first retail stores opened in Washington State. My store, Cannabis Central, was in the third flight of stores to open in August of 2014. BioTrack showed itself, initially, in my opinion, to be a capable system. It was a traceability system first and foremost and from my perspective, it was ok in this realm. In the first few months, as more stores opened and more and more business was taking place, the BioTrack imperfections and quirks began to show themselves. For example, the State required barcodes on all packages and this barcode was obviously assigned to groups or “lots” of inventory. We would find that occasionally, a “lot” would disappear from the ready for sale portion of our cash register computers. We would scan a barcode on a package of cannabis and the computer would indicate zero available for sale when we knew there was product hanging on the pegs behind us. In my simple, non-technical way, I’ll try to explain. Basically, what happened is that electronically at least the barcode or the “lot” we are discussing would in effect be pushed back into the “warehouse” and we would have to find it and bring it back up to the retail space and show it as ready for sale. I always described BioTrack and these little idiosyncrasies as kind of like your first car; the right rear window didn’t work and the gas gauge showed 1/4 tank but it was really empty. You learned to live with these little things and you made it work. And it forced me as an owner to roll up my sleeves and go to work to solve the problem(s). Things don’t always work flawlessly and BioTrack was no different but rather than complaining, we set about to dive in and learn as much as possible about BioTrack. We became BioTrack experts compared to most other retail stores. And when we did need help, we called, talked respectfully and asked for help. Many of my cohorts would call and immediately begin the conversation by yelling and shouting obscenities at the person on the other end of the phone. Not the recommended way to ask for and actually expect help from the person on the receiving end of this call. Over time, many licensees complained about BioTrack so the State in the calendar year 2016 decided to put the traceability contract for the fiscal year 2017 out to bid. Subsequently, A company called Leaf won the new contract. There is actually a huge back story here in that the State attempted, in a rather clumsy fashion, to communicate the problems and difficulties licensees were having with BioTrack in an attempt to encourage them to make changes in their approach so they could keep the contract. BioTrack did not respond well to the situation and in effect stopped trying to appease and correct and basically said to the State, “Go ahead and take Leaf. You will be sorry”. Not a very mature attitude to say the least but given the fact so many were so awful to BioTrack when problems arose, it is really no wonder they adopted this stance. So, we soon had Leaf as our primary traceability Statewide contract holder. It did not take long for problems to begin. The rollout and transition to Leaf were to have begun in October of 2017. However, due to a multitude of difficulties, this transition was not completed until February 2018. It was definitely an indication of difficulties to follow and they did. As for me, I have stuck with BioTrack in my individual store and my problems have been greatly minimized as compared to others. The problems at the State level with Leaf are similar to those described earlier in this article except these blips and disappearances are at the State level and may have resulted in an inaccurate accounting of sales and therefore excise tax collected and income tax paid. The fact that these happenings have occurred is beyond question. The potential under-reporting of sales may have resulted in an underpayment of excise taxes and sales taxes to the State Department of Revenue, and perhaps even underpayment of Federal income taxes. We must remember cannabis cultivation, processing, and retail sale are all still technically violations of Federal law. If Leaf has not been effective in monitoring and accurately tracking all movement of all 502 licensees’ products at all times and under any and all circumstances, Washington State cannot claim to be following the letter and the spirit of the Cole Memo. The fact is we don’t know all that we don’t know. Biotrack’s problems, while frustrating and programmatic to be sure, did not create difficulties outside the effected business. In other words, when we ran into a situation that needed to be remedied, the problem was not extended into the Statewide system. Cannabis Central could not retail what we did not own “electronically”, so the problem was stopped in it’s tracks until we fixed the issue. In the case of Leaf, since this IS now the Statewide system, the potential problems are much larger. The State of Washington, 502 licensees, BioTrack and Leaf have all had a part in the creation of this potential fiasco. Traceability is the very cornerstone of legal Cannabis at this time in the US. If the credibility and confidence in our system is in any way compromised, then our 502 system as a whole is in peril. There are literally millions of citizens who are at best uncomfortable with the legalization and normalization of Cannabis in our society. We are trying desperately, with State legalization, to eradicate the illicit marijuana market; this is one of our major goals in the hope it will reduce access to minors. If this Leaf traceability system is as flawed as it appears to be, we cannot be sure product isn’t slipping “out the back door” and by extension, we will have difficulty convincing naysayers as to our credibility as an industry. If the system cannot be trusted to absolutely guarantee Cannabis will be truly tracked and monitored from “seed to sale”, we cannot win over non believers. In fact, we will expose ourselves to greater scrutiny by the Feds or even be told to shut down until we can guarantee the system is reliable. BioTrack was far from perfect, but Leaf has been a Statewide disappointment and it’s flaws and problems threaten our 502 system as a whole and none of us can tolerate that. We also received this interesting page alert – why would they do this ? Seattle-based fintech company, POSaBIT began trading this morning on the CSE under the ticker PBIT. The company that serves cannabis retailers by delivering bitcoin-enabled payment processing and point-of-sale systems, with built-in compliance features customized to the state each retailer operates in. POSaBIT has enhanced its payment service offering by developing incremental features to sell and accept both Litecoin and Bitcoin for purchases, as well as perform EMV card compliance on debit card transactions. For the nine months ending Sept. 30, 2018, the company generated $1.39 million in revenue, a 266% increase over the prior year for the same time period. The company said that pursuant to private placement financings undertaken in conjunction with the listing, POSaBIT generated gross proceeds of $1.3M. The company’s footprint includes California, Nevada, Oklahoma, Colorado, and Washington. POSaBIT brings its deep retail, food service, and hospitality expertise to the cannabis sector. It has processed $76M in payments in the hospitality industry in 2017. In February 2018, the company acquired DoubleBeam, which specializes in POS payment processing for the Hospitality sector. 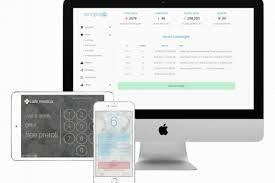 POSaBIT designed and released a new front-end POS console that is suited for cash-only merchants such as the cannabis industry. This entirely new console offers an array of key features, including loyalty programs, in-store digital menus, online ordering / in-store pickup, inventory management, state seed-to-sale compliance, and customizable discounts. POSaBIT also completed all of the necessary state requirements to support the Leaf system, a seed-sale track and trace software system used by regulators in the State of Washington. POSaBIT offers built-in state compliance – a key component that minimizes risk for owners as they navigate new legal footing. With rich data analytics and reporting, owners more effectively keep track of budtender and product performance, on average resulting in doubled ticket sales. Canopy Rivers Inc. (TSXV: RIV) is teaming up with LeafLink, Inc. to create LeafLink Services International ULC. The new venture will exclusively license and leverage LeafLink’s dominant business-to-business (B2B) marketplace and supply chain technology platform for deployment throughout regulated international cannabis markets. In order to get the venture off the ground, LeafLink has made an initial capital commitment of $1 million along with an exclusive, royalty-free license for all non-US marketplaces for their proprietary B2B software platforms and service solutions. In addition to that, Canopy Rivers has committed an initial equity investment of $2 million. Canopy Rivers also has an option to invest an additional $6 million. For the uninitiated, LeafLink is a software-as-a-service (SaaS) marketplace that simplifies the supply chain through its e-commerce platform. The company has a growing network of more than 950 cannabis brands, and penetration throughout ~2,800 cannabis retailers across 16 territories in the United States. Retailers use LeafLink for managing their wholesale inventory, enabling them to shop multiple vendors in one cart, view up-to-date product and brand menus, review historical and open orders, discover new products, and request samples. LeafLink further serves vendors by offering supplementary tools such as order management, customer relationship management (CRM) platform, inventory tracking tools, and customized reporting systems, among other services. By creating this new joint venture, Canopy Rivers will continue to expand its exposure across the cannabis value chain through a capital-light, market-leading B2B platform that is immediately scalable across legal jurisdictions. Canopy Rivers said it intends to integrate its network of complementary cannabis companies and global reach to drive growth for LeafLink International and assist in developing and deploying this technology as it continues to increase its global footprint. “We are excited to join forces with Canopy Rivers – combining our industry-leading, B2B marketplace technology with their expertise and strategic network in the global cannabis market,” said Ryan G. Smith, CEO, and Co-founder of LeafLink. 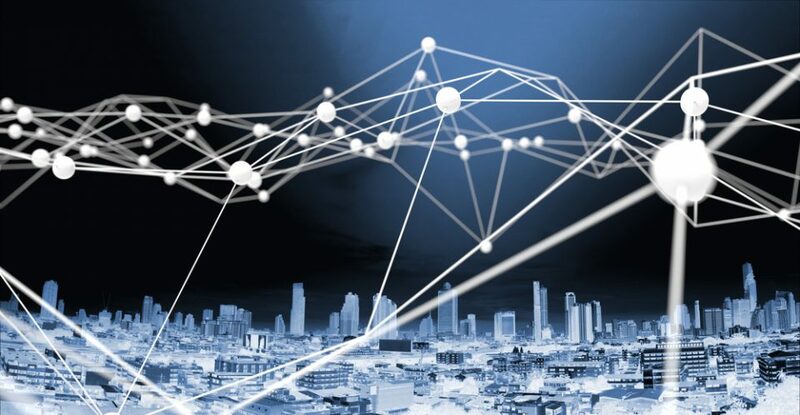 According to the company statement, LeafLink and Canopy Rivers hold approximately 82% and 18%, respectively, of LeafLink International after the initial transaction. LeafLink is backed by venture capital firms and strategic investors such as Lerer Hippeau, Nosara and Casa Verde Capital, LeafLink has raised more than $14 million to date. Cannabis tech company Cannaregs, Inc. has completed a $2 million capital raise that the company will use to expand services and features across the country under the company’s umbrella of Regs Technology. Cannaregs is the leading web-based data technology platform providing up-to-date access to comprehensive cannabis-related legal data including rules and regulations from municipal, county, state and federal sources. In other words, the company has solved for something that many have tried to do and been unsuccessful, which is drilling down to the local level on regulations. It’s a subscription-based service that many cannabis operators, law firms, investors, real estate professionals, consultants, and governments have used to track cannabis regulation and policy, in real-time, providing users with critical information they need to make strategic business decisions. For more information visit www.cannaregs.com. Ostrowitz has identified other industries that would be affected by local level regulations and laws similar to cannabis. Self-driving cars, drones, robotic deliveries, ride-share businesses, dockless bikes, and scooters. Even electric vehicles and charging stations could be subjected to various municipality requirements. The next portal on the horizon for RegTech is TransitRegs. CannaRegs currently provides comprehensive cannabis laws for the states of California, Colorado, Florida, New Jersey, Nevada, Massachusetts, Michigan, Illinois, Ohio, New York, Missouri, and Pennsylvania to be followed by all other states that permit medical and/or recreational marijuana. Licenses for cannabis operators are multiplying as fast as the plants can be grown. 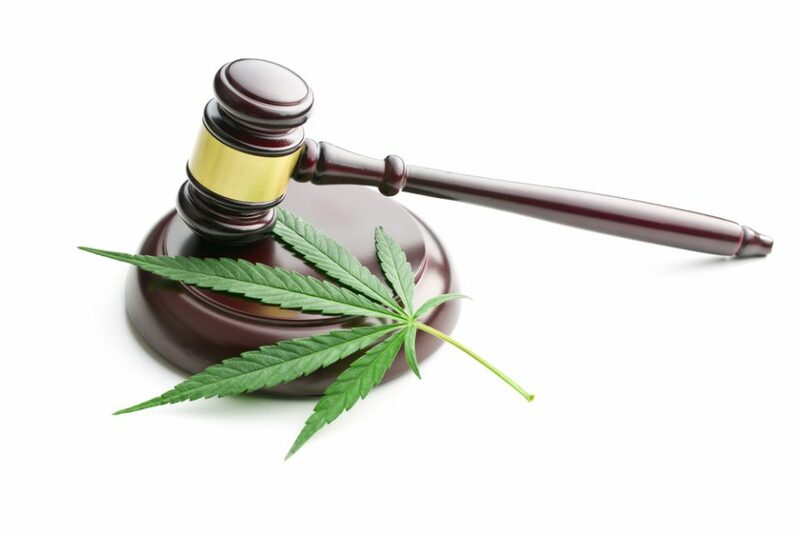 According to Cannabiz Media, in the fourth quarter, the state of Connecticut doubled their dispensaries from nine to 18 and Oklahoma went on a license issuing frenzy. By the end of 2018, the Sooner state issued 805 dispensary licenses, 1,302 growers and 341 processors. They are dwarfed by California which has almost doubled its licenses since November. The state has 10,940 active licenses, although Ed Keating the co-founder of Cannabiz Media noted that only a few dozen are annual licenses. In comparing licenses issued by activity, many categories almost doubled like distributor at 198%, manufacturer at 188%, and cultivator at 178% and retailers increased by 58%. As more states legalize adult use sales, cannabis is becoming a rapidly growing market that topped $8.5 billion in spending in 2017 and will nearly reach $11 billion in 2018 and then push past $23 billion by 2022. In Colorado, there were 509 retail dispensaries. Washington State has 514 and Oregon has 561. The numbers continue to grow as more states like Michigan, New York, and New Jersey begin planning for legalized adult use sales. As a result of this, being on the front line and customer facing is seen as the sweet spot for many companies. These are some of the top consumer-facing retail technology cannabis companies in the industry today. Headset is the top retail data provider. This company captures consumer purchasing data at the point of sale in real time. Producers can use the data to learn what is and isn’t selling and determine consumer preferences. For example, when it comes to cannabis edibles, gummies are the big winner in Colorado, while mints are the product of choice in Washington. The retailers can also mine this data to track inventory levels and learn what their customers prefer. Do they like sweet or sour flavors? Dispensary owners can also use the past performance data to predict future buying habits. If the upcoming Valentine’s holiday demonstrated a big jump in chocolate sales, then the owner can make sure they are stocked up. Headset recently completed a Series A funding round of $12.1 million. This money will go towards improving current products and services and expanding the company’s offerings to additional U.S. states and international markets. It will also help the company serve new customers from the consumer packaged goods, beverage/alcohol, and financial industries, who are taking an increased interest in cannabis. Dispensaries can’t advertise in traditional methods and the customers probably wouldn’t respond to traditional ads anyway. Springbig is able to capitalize on this by helping dispensary owners reach customers in loyalty programs through text messaging. Everybody loves to be rewarded and find bargains when shopping and cannabis consumers are no different. Earning points for purchases motivates customers to stick with their favorite stores. The data also helps owners get more sales and it also lets them analyze what works best with their customers. The company said that dispensaries that use Springbig found that their customers spent more and that revenue increased by 25%. The company can even drill down into the customer’s preference and then only send targeted promotions. For example, if a consumer only wants flower, then they won’t be sent promotions for edibles if that is what they prefer. Seed is an in-store cannabis educator. With interactive touch screens, customers can easily get answers to their questions, which frees up the dispensary employees time. The company was developed to help the dispensary staff and also give the customer a nonjudgmental way to learn more about the products. 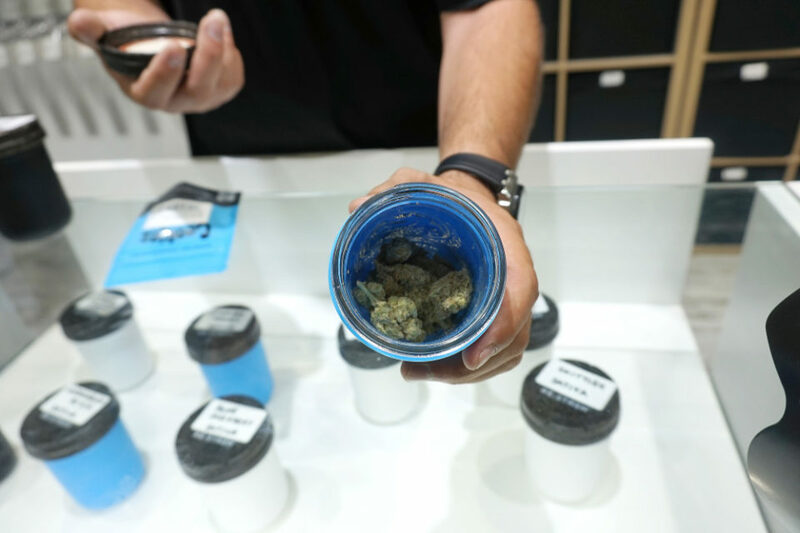 Of course, the ultimate idea is to sell more product, but dispensaries are such a new experience for many people and the products are mostly unfamiliar. There is a huge learning curve and if you can ask your questions through a cool interactive touch screen, that seems easier than taking up 20 minutes of a budtenders time if there is a line of people waiting. The units are integrated with the dispensaries inventory so once the customer goes through the touch screen to see what it is they want, the Seed is programmed to suggest items that are in stock. Having said that the company says it remains focused on education more than pushing a product. It isn’t a pay to play model such that one product can pay to be recommended over another. Flowhub is the behind the counter solution for dispensary owners. This point-of-sale software is sold as a compliance solution to dispensaries. Flowhub includes a small handheld mobile device called a Nug to help speed up daily operations like scanning barcodes, checking in customers, and auditing inventory. The software gives managers complete control over their data, allowing them to generate inventory discrepancy reports and make adjustments before submitting via an API. Customers can also opt for the company’s free loyalty software that is included. The system is also tightly synced up to METRC — the track and trace system used in most legal cannabis markets — making compliance really easy in those markets. At this time, it isn’t aligned with MJ Freeway or BioTrack, but that is expected to happen as the company expands into other markets. Flowhub is a little different from the others because it provides an open source option. This lets customers with a high level of technical knowledge customize the software for their needs. A tech nerd’s delight. KlickTrack is the new kid on the block after a beta launch in September. Co-founder Brendan Hill (of Blues Travelers fame) said it addresses common issues and pain points that the founders themselves experienced when they tried various software solutions as owners and operators of Paper and Leaf, a retail cannabis boutique, located on Bainbridge Island in Washington state. After years of frustration with non-integrated systems, they developed KlickTrack as a synchronized ecosystem, saving retailers time and money. The company said it gives retailers the ability to easily view and manage inventory and offer their products organized by brand. It reduces inventory redundancies, speeds up workflow and enables retailers to maintain customer service on high traffic days. It provides real-time insights into all sales metrics, allowing retailers the ability to analyze historical customer and product data. The compliance translator ties directly into state regulatory systems and the company said it virtually eliminates the risk of fines and violations. The cannabis industry experienced a 45% growth in dispensary licenses in 2018 according to CannaBiz Media, a company that tracks cannabis licenses. Cultivator licenses grew by a whopping 110%. One company that has managed to take advantage of the opportunity in the cannabis industry without actually touching the plant is Denver-based Flowhub. 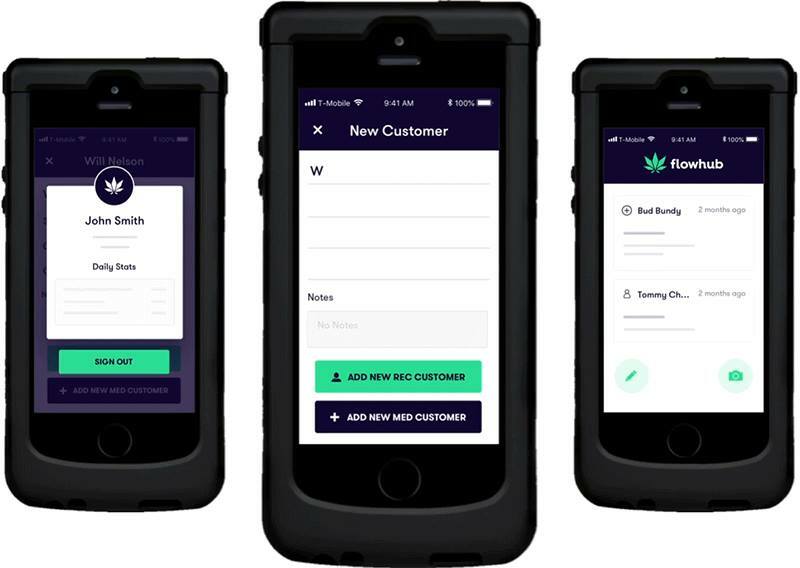 The company provides point-of-sale software that is sold as a compliance solution to dispensaries Flowhub includes a small handheld mobile device called a Nug to help speed up daily operations like scanning barcodes, checking in customers, and auditing inventory. The software gives managers complete control over their data, allowing them to generate inventory discrepancy reports and make adjustments before submitting via an API. The system is also tightly synced up to METRC — the track and trace system used in most legal cannabis markets — making compliance really easy in those markets. At this time, it isn’t aligned with MJ Freeway or BioTrack, but that is expected to happen as the company expands into other markets. CEO Kyle Sherman said that he wanted the company to be laser-focused first on integrating with METRC and excel at that program before taking on others. Flowhub also works with lots of other popular apps and services in the cannabis space. This adaptability has made Flowhub and easy company to partner with. Sherman noted that its software comes with a free loyalty program, but they also integrate with other loyalty software companies like Springbig and Baker. In addition to that Sherman said they work well with Leafly and retail programs like Dutchy. Another example of Flowhub flexibility within the cannabis industry is that its platform welcomes others to leverage its API to build apps on its platform. Sherman told a story about one dispensary customer who used to be a programmer and for fun he created his own dispensary software to use with Flowhub’s. Flowhub’s clients seem to be pretty happy with the system since it brings order and compliance to their cannabis business. One dispensary client, Nectar, is currently in the process of expanding quickly across the state of Oregon with Flowhub. Similar to other emerging dispensary brands, Nectar’s growth model involves buying other dispensaries who are interested in selling their license. Because Flowhub is integrated with METRC track-and-trace system, Nectar would easily be able to expand from its 16 retail locations in Oregon,to a completely new state, with few compliance headaches. According to Owler, Flowhub is estimated to have annual revenue of around $2.5 million. The company is also estimated to have raised $8.8 million in capital through three different fundraising rounds beginning in 2015. Its last round took place in April 2017 for $3.25 million and it came from Green Lion Partners, Altitude and Phyto Partners. At the time of the deal, Larry Schnurmacher of Florida-based Phyto Partners said, “The technology solution Flowhub provides is critically important to operators, they can’t do business without it. This vertical is where we will see billion dollar valuations in the coming years.” The company also made the Green Entrepreneur 100 Cannabis Leaders of 2018 list. Since the company’s tech and POS are so simple to replicate across multiple stores, cannabis dispensaries can easily expand and grow their businesses at scale, without missing a beat when it comes to compliance. The handheld device also speeds up the time it takes for employees to track the plants. Cannabis loyalty software company springbig completed its latest Series A fundraise for $5 million bringing its total amount raised to $11.3 million. This round was led by venture capital firm Altitude Investment Partners which has behind several winners in the cannabis industry. Springbig is a technology company that provides SMS, loyalty marketing, and other tools to help encourage repeat business for cannabis retailers. The company grew 685% from September 2017 to September 2018 when it hit 1.9 million consumers on its platform. Not only does Spring big create loyalty among the customers for the dispensaries it works with, but it also inspires loyalty among its own investors. The company said that a majority of its original investors also came back for this round, including Green Acre Capital and members of The Arcview Group. Altitude has had a hand in such cannabis leaders as BDS Analytics, Grassroots, The Green Organic Dutchman, Flowhub and Canndescent. One of the reasons that cannabis companies have found these types of programs beneficial is that they can’t advertise in traditional methods. Even using social media is a challenge since sites like Facebook and Instagram are known for shutting down accounts associated with cannabis. With a loyalty program, dispensaries can text customers with discount offers or announce upcoming events. Springbig says that its program has resulted in a 25% increase in sales for each promotional campaign. Businesses have said that it more than doubles their number of repeat customers. This is becoming more important as some states begin to expand the number of cannabis businesses that are allowed. The competition is heating up. The company has hard numbers to back up the claims. One business in San Diego said that a typical day without sending an SMS campaign brought in approximately 175 visits. However, when the business embarked on a promotional campaign, the dispensary received an additional 40 visits. Springbig has meshed its technology with 11 of the leading point-of-sale and compliance platforms in mature and emerging legal cannabis markets. The most recent of these is BioTrack THC, which is a wholly-owned subsidiary of Helix TCS Inc. (OTCQB: HLIX). BioTrack is one of the top point-of-sale and seed-to-sale tracking programs and will expand springbig’s presence even further. As everyone who owns a cannabis retail store knows, compliance is key to running a successful legal cannabis business, and tech companies have seriously stepped up to make compliance a seamless process. Metrc, is a well-known seed-to-sale traceability platform that helps cannabis companies manage their inventory and the movement of cannabis products through the supply chain. Operating in Colorado, Oregon, Alaska, Maryland, Michigan, Ohio, Massachusetts, Montana, Nevada and Louisiana, and Washington, D.C., Metrc helps fulfill state reporting requirements and has become known as the “de facto track-and-trace system” for government entities that regulate the legal cannabis markets. 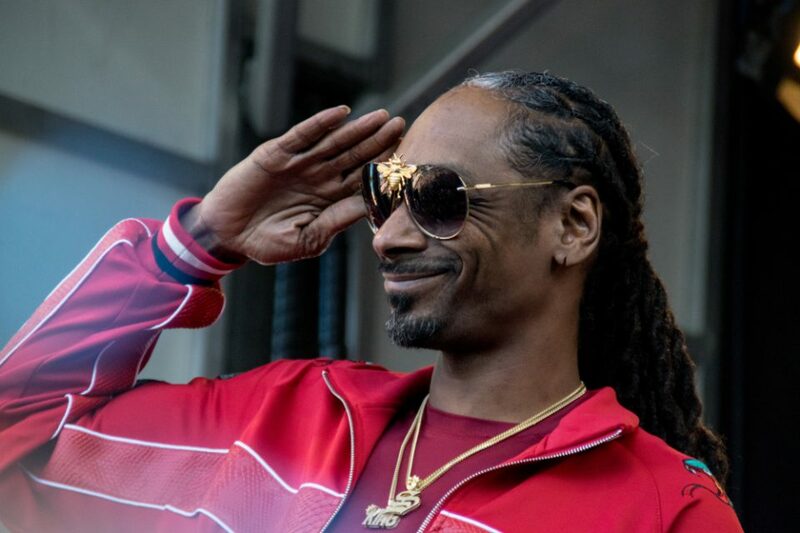 Metrc announced its first outside round of funding in the form of $50 million from Tiger Global Management and Casa Verde Ventures, the 3-year-old, cannabis-focused venture firm co-founded by notorious cannabis enthusiast and investor Snoop Dogg, but managed largely by Goldman Sachs and Nomura Securities alum Karan Wadhera. The partnership between Tiger Global Management and Casa Verde Ventures, where each entity “shares deal flow quite regularly”, funded Point of Sale software company GreenBits, which is designed to integrate into seed-to-sale systems like Metrc. Metrc was formerly part of Franwell, focusing on cold chain management and fresh foods, which helped gain the supply chain management knowledge and expertise needed to transition into seed-to-sale traceability for cannabis. “Compliance is the backbone of the cannabis industry. If a license holder isn’t compliant, their business will cease to exist,” said Karan Wadhera. CannaRegs expands with Regs Technology. 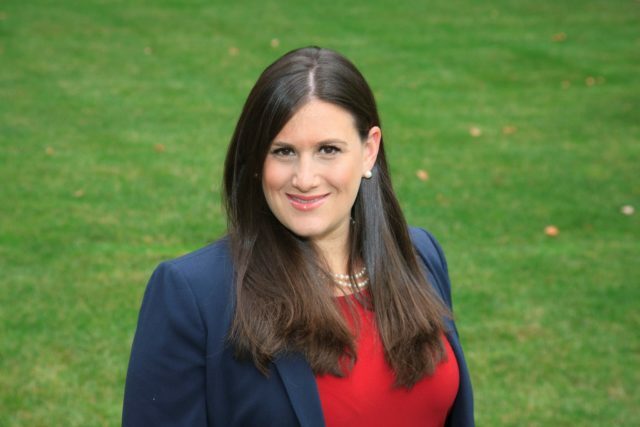 CEO Amanda Ostrowitz tells Green Market Report why the company changed its name and what is in the company’s pipeline. Hint: the company is expanding beyond cannabis. Ostrowitz also discusses the investment by MassRoots and the two company’s relationship following the busted acquisition. Cannabis and technology are becoming quite the pairing as apps like Weedmaps, Lift & Co, Leafly, and Strainprint are becoming popular companions to the cannabis experience. 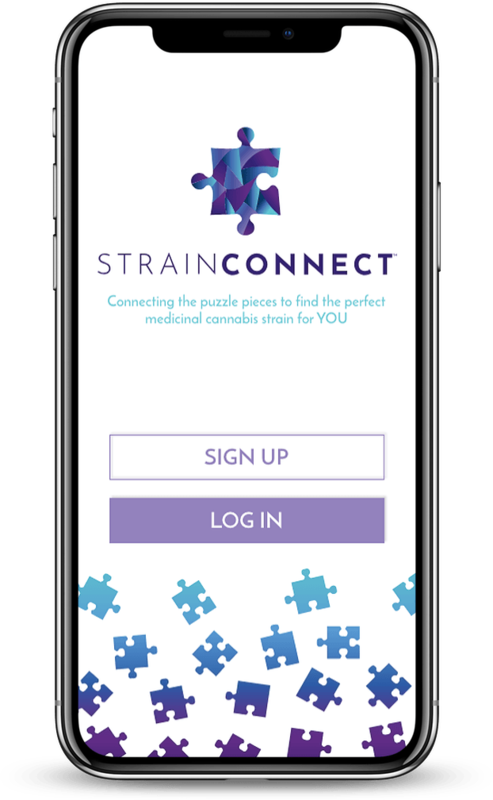 Enter a new app, StrainConnect, a strain recommendation platform that helps cannabis consumers choose cannabis products based on the ailment, desired effect, and personality characteristics. 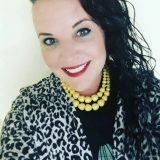 “I built StrainConnect out of a personal need when I was trying to find a solution to my back pain after having children,” explains CEO Rachael Maddison, “The information available was overwhelming and, eventually, it became expensive to try different products that I ultimately would never end up finishing,” she describes. After journaling her experience with different cannabis products, she verified her process with the medical, scientific and cannabis community, putting a team together to create an app that utilizes machine learning AI to do what Maddison had done manually “but far quicker, cheaper and more accurately,” she says. With the beta version now available, the app will begin first with CBD product recommendations in the U.S. during the private beta phase and will extend the use of the app across California by opening up THC product recommendations. StrainConnect markets itself as “the only consumer resource on the market that connects individual patient profiles with cannabis product lab results to provide unbiased, user-specific product recommendations”. Green Market Report has featured similar apps like Strainprint, the app that was designed to help medical cannabis users in the U.S. and Canada match symptoms with strains available from Licensed Producers. The app helps consumers “use cannabis better” by collecting data from one’s cannabis session into a “medical document” that can be shared with a prescribing practitioner to follow medical cannabis therapy progress. StrainConnect works with the recreational and adult use markets by allowing users to gain recommendations for products that have been tested by third-party labs for cannabinoid content, terpenes, and pesticides, which ensures only clean, quality products are being recommended to users. After the StrainConnect app makes a handful of recommended strains and products based on ailments and desired effect, it provides guidance on dosing, detailed product information and where consumers can purchase that specific product. 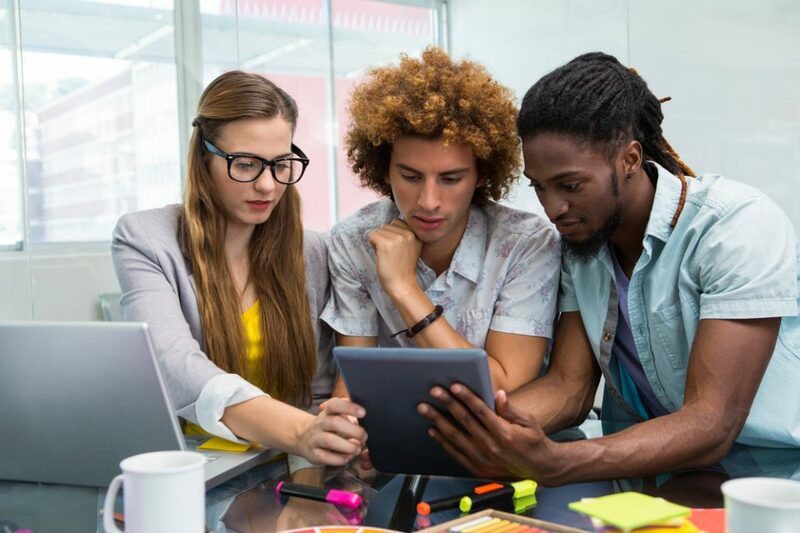 StrainConnect was created in February 2018, and the company was invited to join the San Francisco Founder Institute tech incubator, where an initial investment was raised in June 2018. The company has now officially opened its pre-seed round for investors to help bring the plans for this app to full fruition. Interested investors may email connect@strainconnect.com for more information. To sign up for the beta visit www.strainconnect.com.